Real scientists never truly retire. 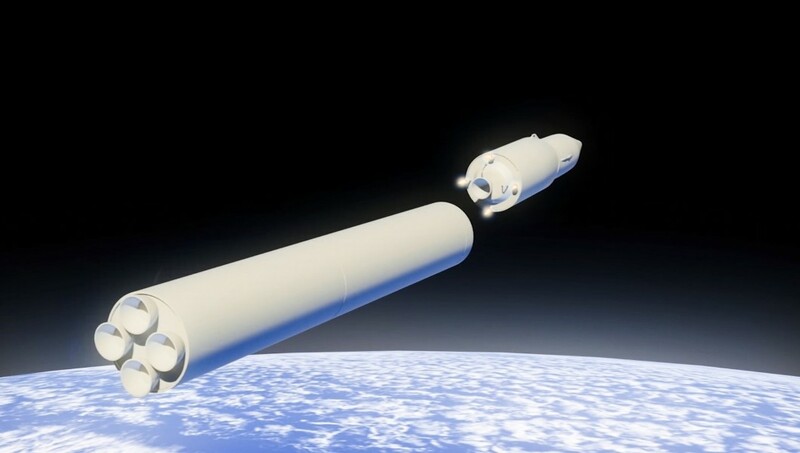 At 74, Victor Kudryavtsev continued his work as a leading scientist at the Central Research Institute of Machine Building, known in the West as TsNIIMash — Russia's main rocket development center, located in the town of Korolyov near Moscow. Another day, and yet another front-page New York Times piece detailing the inner workings of a sensitive national security investigation. This one, entitled, “Agents Tried to Flip Russian Oligarchs. The Fallout Spread to Trump,” appeared in print on Saturday, and contained leaked information describing case decisions and law enforcement operational maneuvers. The purpose of these unauthorized disclosures should not be construed as any effort to safeguard American lives or fulfill any moral imperative that necessitated their release into the public domain. 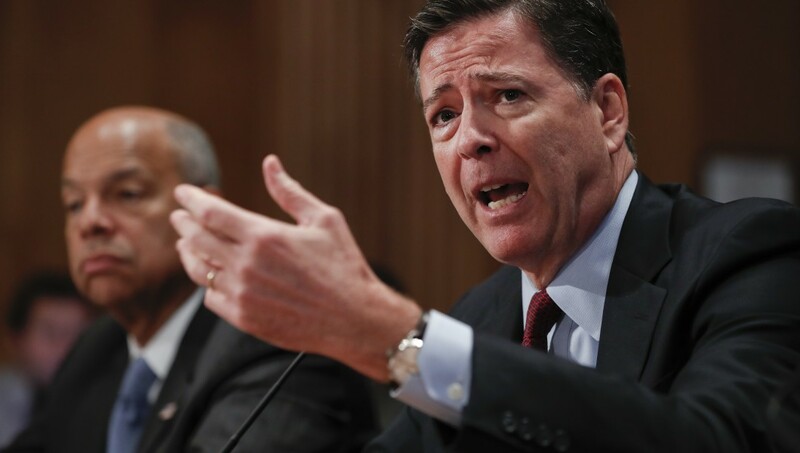 Those who disclosed classified information here did so for pure partisan political purpose. The cheapest return flight from New York to Los Angeles is five times lower today than it was back in the 1970s, when airfares were regulated by the Civil Aeronautics Board. In August, the Treasury Department issued new regulations addressing the gimmicks various states concocted to dodge a new $10,000 cap on the state and local tax deduction (pun inducingly known as SALT). Blue-state politicians such as New Jersey Gov. Phil Murphy decried “[the president’s] unfair and arbitrary tax hike on working and middle class families” (just how many working-class families in New Jersey pay more than $10,000 a year in state taxes remains unclear). This rhetoric also comes with a lawsuit, which was filed in July by New York, New Jersey, Maryland, and Connecticut, and claims that capping the deduction is not simply a policy disfavorable to those state’s citizens but an unconstitutional attack on federalism itself. John McCain, the late Republican senator from Arizona, was beholden to no one. Jon Kyl, the former Republican senator tapped to replace McCain, cannot say the same. Kyl was a lobbyist for K Street giant Covington & Burling. It was an interesting way to start a confirmation hearing. 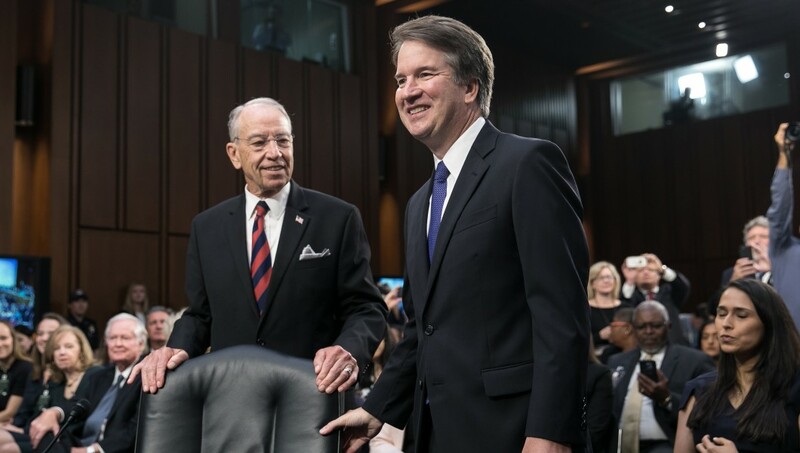 Senate Judiciary Committee Democrats talked as though Supreme Court nominee Brett Kavanaugh had just beamed to earth from another planet or materialized out of thin air moments before the hearing began. Welcome back to Gilead. Feminists are re-purposing The Handmaid's Tale costumes they debuted in 2017 to protest Judge Brett Kavanaugh's nomination to the Supreme Court. It's a bad look for a number of reasons. Malaysia's caning on Monday of two women convicted of having a sexual relationship reflects the continuing crisis in political Islam. 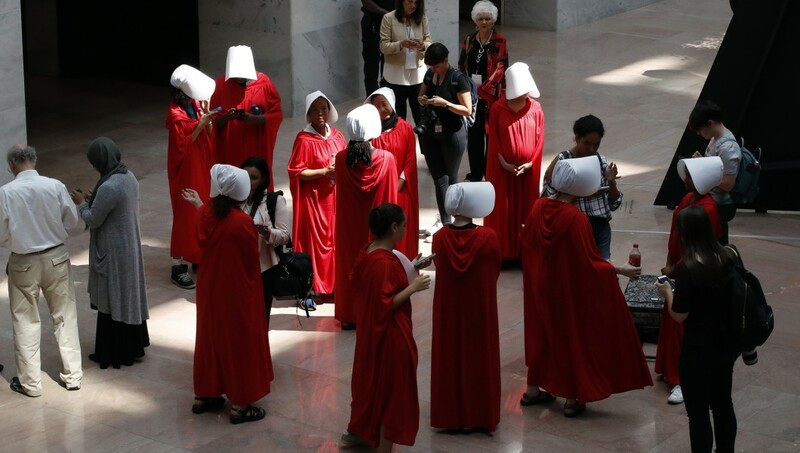 Judge Brett Kavanaugh’s confirmation hearing to be the next Supreme Court justice began with a crowd of angsty women, dressed as victims from The Handmaid’s Tale. Concerned feminists who oppose Kavanaugh regularly interrupted Kavanaugh’s hearing with shrieks and hollering. Why? They oppose Kavanaugh’s confirmation because they assume he will overturn Roe v. Wade.